Writing CVC readers for older students is uniquely challenging! Writing books that capture the interest of older students is no easy accomplishment even when one has access to the entire English lexicon. When word choice is limited to those in level one of our phonics progression, the challenge is orders of magnitude greater. For readers not familiar with the TAP progression, level 1 uses only CVC and CCVC words (examples? This list is pretty exhaustive). Happily, writing engaging CVC readers for older students is possible. The first Level 1 decodable novel for the TAP Library collection, The Plan, is now available. The plan is not a big plan. Tim will get a job. And if the job is OK, Tim will beg Ann and Ann will wed him….Tim and Ann. Ann will get a dress: a big dress and wed Tim in it. Ann will stun him in the dress and as Tim is wed, his mum will get sad and sob. However, Tim’s decision to make some easy money running drugs for a local gang was not part of those plans. He ends up in prison where he struggles to remain hopeful and endure life inside. Will Ann wait for him? Forgive him? “Job bell!” The yell is from a big, fat kid sat on the grass at the top of the hill. His yell is cross….This big kid is Bad Matt and Tim will not grin at him. Matt got him in the mess. 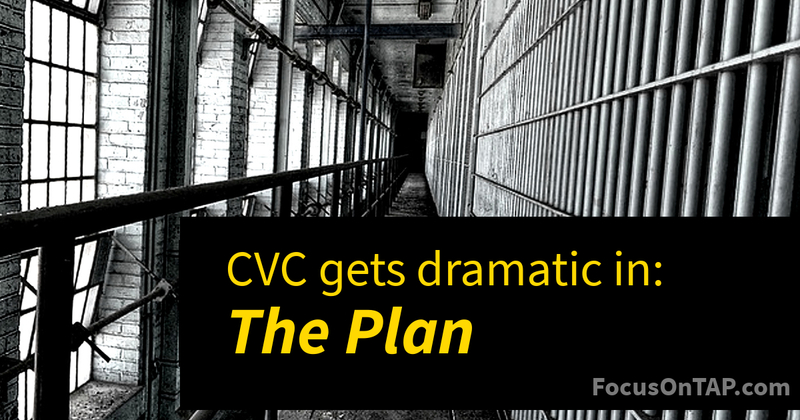 The Plan is proof that there’s no need to skip the drama in CVC readers for older students . You can see a longer sample of The Plan in the free-to-download Teen & Adult Phonics Library app for iPhone and iPad. The app includes a sample of every decodable text in the our collection. This new title is also included in the TAP Library School Edition app available on the App Store and Google Play. We hope mature beginner readers will be excited to put their decoding skills to work in this story of Tim and Ann! ← Let the Wheel Decide if it is Bad!